Here’s ANOTHER cannot-fail, mid-weight red that will turn any meal into a French Bistro experience. 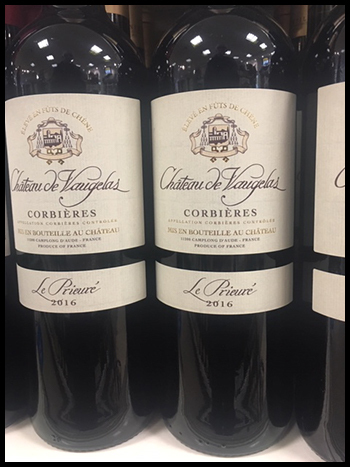 Like the Minervois area, the Corbieres region in the south of France gives style with the greatest of ease – and at reasonable price. Chateau de Vaugelas feels like a plummy Merlot with an earthy edge. Smooth meets back-street. You cannot fail pouring this with almost any food, or situation. Vaugelas is a LCBO sleeper. GET SOME!